Focus: In yoga practice, the gaze (“drishti”) serves two purposes: (1) it expresses the energy and action of a yoga pose, and (2) it focuses the mind. Choose a specific focus point and continue to breathe deeply. Use the gaze to assist or challenge balancing yoga poses such as tree pose (vrkasana). In general, gazing slightly forward and toward the floor makes balancing yoga poses easier. Looking up to the ceiling tends to make the pose more challenging. While practicing relaxation draw your gaze to your inner self. Alignment: Each yoga style has its own take on alignment. In many contemporary methods, props are used to help students get into the best possible alignment. Every pose has a precise way in which the body should be positioned in each yoga pose in order to obtain the maximum benefit and avoid injury. In absence of proper alignment you will not be able to derive maximum benefits. Breathing: The conscious use of the breath, or pranayama, separates yoga from other forms of exercise. Working with your breath will help you ease into an asana. Besides. certain types of breathing are said to transmute the creative energies. 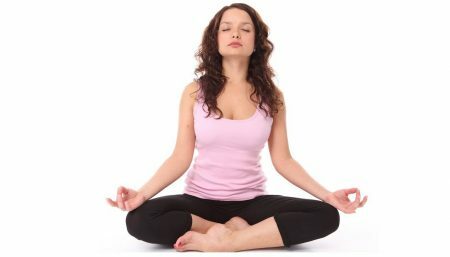 One is required to integrate focus on breathing during yoga session while maintaining asanas or yoga positions. During the course of an ordinary day, a women take an average or 28,000 breaths, most of which are shallow inhalations in which air does not reach deep into the lungs. Such shallow breathings tightens neck, muscle, which in turn can cause stiffness and pain in the return, therefore try to at least becomes aware of, proper breathing. What happens by bringing your awareness on the breath? The mind becomes relaxed and so you are better able to relax in the pose. 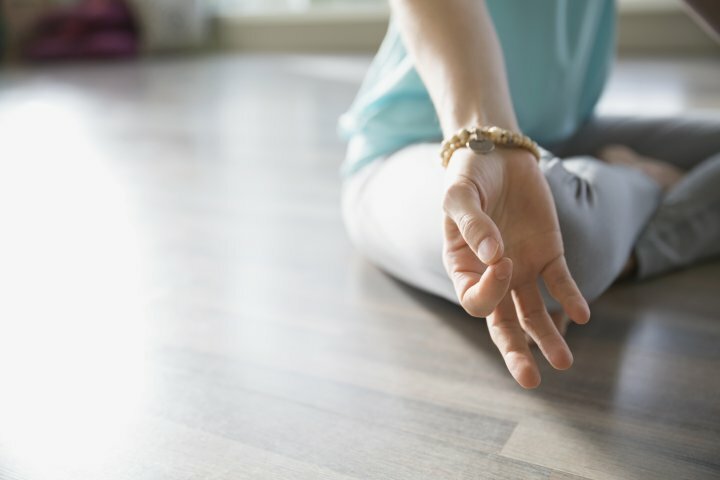 Environment: When practicing at home, you should create an area specifically for yoga and meditation. Make sure there is plenty of light and the area is clean and tidy. Also, make sure you do not have any distractions while you practice yoga. Make sure every prop you need for your practice, such as a yoga mat, blankets and blocks, are in the area before you begin. This preparation prevents you from having to run around the house looking for a different prop before you perform each pose. Dress code: The best clothing to wear for yoga is anything that you’re comfortable to move in. Dress in clothing that allows the skin to breathe and body to move in any direction without getting caught on anything. The less bulky or bunchy, the better. Take off your watch, your hat, your sunglasses, and as much of your jewellery as you can to avoid interruption. Leave it in your bag, not next to your mat. You will be able to move easier without fear of breaking or scratching anything. Footwear options include yoga shoes with bendable soles, foot thongs that are strappy and only cover the ball of the foot or yoga socks with individual toes that prevent slipping. Yoga mat: A mat is a complete essential while practicing yoga. Towels and a blanket can be used to create the perfect yoga spot. Smooth out the layers as much as possible to create a flat surface that you can move around on without it slipping. State of art, yoga mats are also available and can be bought at affordable prices. Most yoga instructors recommend purchasing a thick nonskid mat. Standard mats are 24 inches wide, 68 inches long and one-eighth of an inch thick, although taller people can find longer mats. Make sure the surface doesn’t slip or shift, you could hurt yourself if it moves out from under you. Water: It is wise to carry drinking water with you while going for yoga. Toxins may be released into your body while practicing yoga, and you will need water help flush them out. While some yoga practitioners recommend drinking water before a yoga class and not during the class. Others recommend you to drink as much water as you want. The best approach is to take a middle path and drink a sip of two of water if you feel dehydrated during a class or between asanas. Stay hydrated. Towel: You need to carry a clean towel for yoga practice which will help you wipe your face in between exercises. Also a towel is a must for placing on the yoga mat; you will need to find out if a towel will be provided to you or if you need to get one from home. 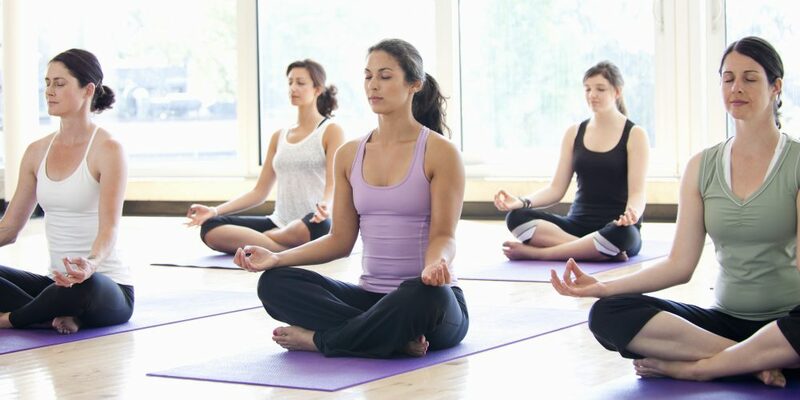 Health Status: Women should avoid practicing yoga during their menstrual periods. Pregnant women need to follow guidelines to take care of the baby. You need to follow instructions, modifications and precautions if you are suffering from health ailments like arthritis, diabetes, hypertension, cancer, etc. You should discuss your injuries and special health conditions before the class with your instructor. This will help your teacher to make suggestions for your practice and this will help them make your experience more enjoyable. Slow and Steady: Never rush through a yoga session. Most yoga instructors recommend eating two hours before attending a class. If you have an urge to eat then you can consume a protein shake or a fruit salad.